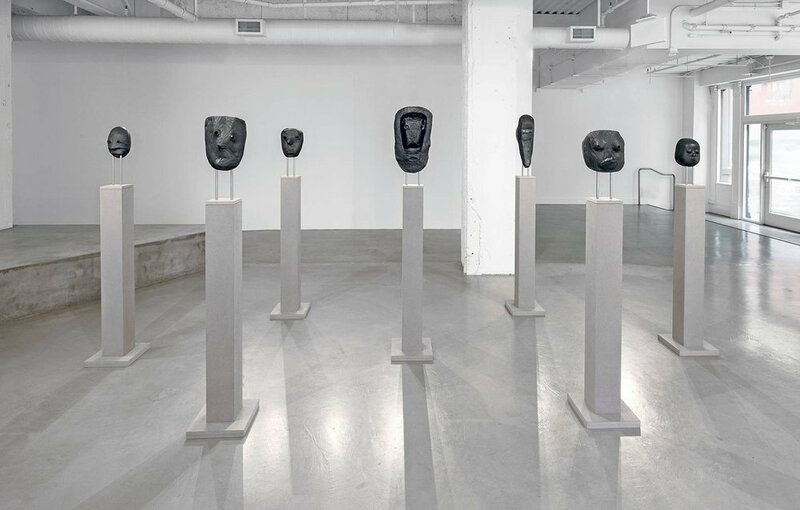 Oct 21, 2016 — San Francisco —For Italian/German artist Michael Fliri’s debut solo exhibition in the United States, Becomings features seven Artistone, paint, metal and MDF sculptural objects in the form of masks on finely crafted custom podiums. These works are from his series Where Do I End and the World Begins. Utilizing the collection of the International Mask Museum, Germany, as source material, the work inverts the mask as a sculptural object and redefines its meaning. These sculptures express a space between cultures or a moment in one’s own personal evolution. They describe the process of building identity and the construction of personas. Fliri achieves this by casting the interior surface of traditional ethnic masks for use as the exterior of a new mask and then uses casts of the exterior of another culture’s mask as the interior of the first mask. 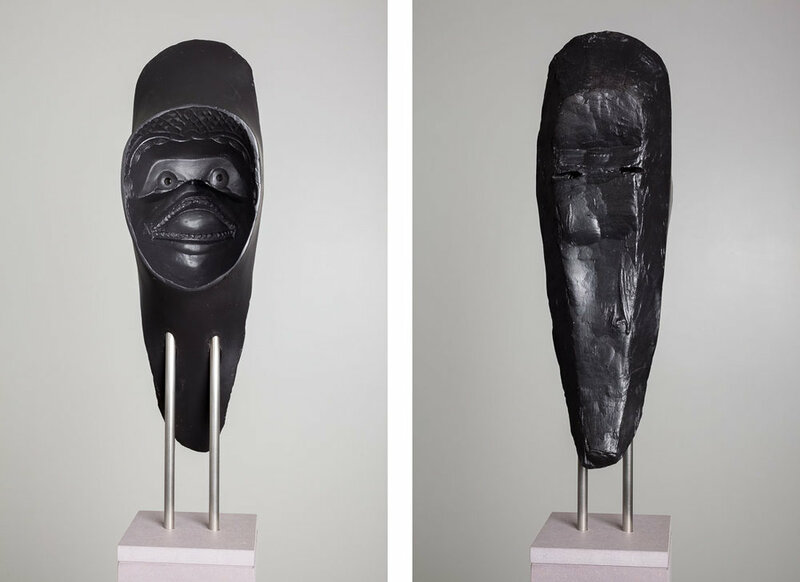 In this way, the artist inverts a cultural signifier of ritual and identity and enables a mask from Mexico to “look through” a Japanese mask, and the inside of a mask from Korea to be in contact with a mask from Tibet. In reference to his sculptural masks, the artist describes their resonance as distinctly human yet uncannily alien. Fliri says “[I am] attracted to the concept of an animistic part of objects.” These works are simultaneously mysterious, supernatural, and soulful. The ritual nature of these original masks imprinted their energy and magic on the objects when they were cast. They now evoke the subconscious and feel in- between states of being, like on the edge between sleeping and waking. This series further advances the concept of identity politics surrounding assimilation and diaspora in the 21st century. In light of today’s political climate, globalization, and rising sense of cultural isolationism, these masks are timely and poignant investigations into cultural shifts and the global refugee/migration crisis.